No official statistical data on the number and trend of civil litigation cases involving banks and other financial institutions exists in Japan. It is widely believed, however, that the number of lawsuits between investors and financial institutions, one of the main categories from which banking litigation is generated, has decreased compared to the number of the same immediately following the post-global financial crisis era, after the bankruptcy of Lehman Brothers in 2008. This decrease is largely owing to Japan’s recent improved economic situation, which benefits many investors, likely obviating their need to seek judicial redress in many instances. Be that as it may, in recent years, some lawsuits involving the banking sector have been heard, on which Japanese courts have handed down seminal decisions. We introduce those court decisions and recent legislative developments, specifically reforms of Japan’s Civil Code, which are likely to substantially affect future commercial litigation, including banking disputes. We also explain the major causes of and procedural issues related to banking litigation in Japan. The Amendment to the Civil Code of Japan was enacted by the National Diet in May 2017 and promulgated in June 2017. Most of the amendments will come into effect on 1 April 2020. Since this reform covers a wide variety of civil law issues, it is not feasible to explain it in its entirety in this chapter. Several reforms may substantially affect commercial litigation, including one involving banks. The examples of those reforms are below. Under the current Civil Code, a claim is extinguished if not brought within 10 years of the date on which it became possible to exercise its right, owing to extinctive prescription,2 with some exceptions (e.g., where the period of extinctive prescription is shorter than the general rule, such as five years, for a claim arising from a commercial act).3 The amendment, which abolishes the exceptions, introduces a new general rule: a claim will be extinguished the earlier of five years after the claimant becomes aware that the right of the claim can be exercised or 10 years after the right of the claim can be exercised. In addition, the amendment introduces a new suspension on prescription, where the completion of the prescription period for a right and claim is suspended for a certain period, generally one year, if parties agree in writing to negotiate such right and claim. The Amendment will impose some restrictions on guarantee agreements entered into by individuals. One of the important restrictions is that a guarantee agreement is not effective if (1) the principal debt of such guarantee agreement is a monetary loan owed by the principal debtor for the debtor’s business or (2) such guarantee agreement is a revolving guarantee in which the scope of the principal debts includes the monetary loan owed by the principal debtor for the debtor’s business, unless the individual guarantor expresses his or her intent in a notarised document to perform the guarantee obligations within one month preceding the execution date of the guarantee agreement.4 Further, if a guarantee agreement falls within the scope of (1) or (2) above, the principal debtor is required to provide certain information, such as the properties and income and expenditures of the principal debtor, to the individual guarantor when the principal debtor asks the individual guarantor to assume the guarantee obligations. A failure to undertake such obligations may cause the guarantee agreement to be subject to cancellation by the guarantor. The current Civil Code and the Commercial Code provide a fixed statutory interest rate of 5 per cent5 and 6 per cent per annum,6 respectively. The Amendment abolishes those fixed statutory interest rates, and introduces a uniform floating interest rate, which will be 3 per cent when the amendment becomes effective but may be revised every three years in light of the average market interest rate. Most loan agreements involving banks and other financial institutions have a provision under which interest rates are prescribed; therefore, the change of statutory interest rates will generally not affect the practice in banking sector-related litigation as far as such loan agreements are concerned. However, this statutory interest applies to a tort claim, which is one of the main causes for customers to sue their banks and financial institutions, such as a claim of failure to explain, as described in Section VII, below. Therefore, this change may affect litigation involving financial institutions to that extent. The Tokyo High Court addressed an issue of obligations of banks that provide internet banking business to their account holders in its decision dated 3 March 2017,12 where a plaintiff holding a deposit account in a bank sued the bank for damages the plaintiff incurred, asserting that the bank negligently transferred money from the bank account to a third party’s account and breached its obligation under the deposit agreement. In this case, the plaintiff argued that someone gained unauthorised access to the plaintiff’s online bank account and requested the bank to transfer the money to a third party’s account, and that the bank negligently accepted such request and transferred the money, which resulted in the plaintiff’s loss. The Tokyo High Court found that the bank took reasonable measures in order to prevent such unauthorised access in advance of such incorrect transfer of the money, referring to the facts that the bank requested its customers to install security software and to change the log-in password for bank accounts, and that implementing general suspension measures of a transfer of money would significantly impair the convenience of bank account holders. The Tokyo High Court rejected the plaintiff’s arguments, and concluded that the bank was not responsible for the transfer notwithstanding that the unauthorised access caused certain loss to the plaintiff. This decision gives some insight into the scope of duty for banks conducting internet banking business. Japanese civil procedure falls within the category of a civil law system, which is different from court procedures in common law countries such as the United States and the United Kingdom. Further, one feature of Japanese civil procedure, which is relevant to litigation between customers and banks, is that no equivalent to widely available class action lawsuits in the United States and other countries exists in Japan. 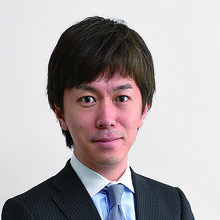 Having said that, however, the Act on Special Measures concerning Civil Court Proceedings for the Collective Redress for Property Damage Incurred by Consumers (ASMCCP), which came into effect in 2016, changes the class action landscape in Japan: for the first time, in limited circumstances, class action-styled lawsuits may be brought. However, such procedure is to be initiated by a specified consumer organisation qualified by the government, and an individual consumer cannot initiate such procedure.13 Further, the application of the ASMCCP is limited to certain claims stipulated thereunder,14 and certain types of damages, such as loss of profits, are excluded from the scope of recoverable loss.15 In view of such limited availability, we are currently unaware of any procedures under the ASMCCP, including disputes involving banks and other financial institutions. Under the laws of Japan, three types of interim measures concerning civil procedure exist: provisional seizure of assets, provisional disposition of a disputed subject matter, and provisional disposition that determines a provisional status.19 Regarding litigation involving banks, provisional seizure of assets is often used, whereby a debtor’s or guarantor’s assets are temporarily seized to enforce a judgment granting a monetary claim over the assets after the court delivers its formal judgment. While no concept exactly equivalent to attorney–client privilege exists, a similar type of protection over attorney–client communications is available under Japanese civil procedure. No ‘discovery’ or other document or information-exchange process in the course of litigation exist in Japan. Instead, the Code of Civil Procedure provides for courts to make orders regarding document production; however, such orders are only available where a party succeeds in presenting the existence and identity of a document24 and where a necessity to produce the same as evidence exists.25 Further, several statutory exceptions exist under which the other party does not bear the obligation of document production.26 Given the general tendency that courts are prudent in granting orders on motions for document production, no substantial disclosure of documents between parties in civil litigation usually occurs. There are various types of civil litigation involving banks and other financial institutions. Most such litigation is brought by customers of banks and other financial institutions, such as investors purchasing financial products from banks and the like, and customers who deposit money in their bank accounts. Another major source of banking litigation is for banks and other financial institutions to seek repayment of money against debtors or guarantors under a loan agreement or guarantee agreement, as well as those who seek enforcement of a mortgage right over assets of debtors, etc. c the purchase of financial products by fraudulent means by financial institutions or by mistake by investors. These arguments often overlap, and are concurrently presented to the court. Each argument’s effect differs from the other, as explained below. In addition to the ASFI, the Supreme Court has held that, if a contractual party fails to disclose to the other party information that could affect the decision of whether to enter into the agreement, the other party may claim against that party damages incurred from entering into the agreement as a general tort claim.30 Based on this court precedent, investors often assert that financial institutions fail to disclose necessary information to them when selling financial products, which constitutes a tortious act and that the financial institutions are responsible for the damages that they incurred. A financial institution is required to evaluate a customer’s suitability to a financial product in issue, in light of customer knowledge, customer experience and the state of customer assets or the purpose of the transaction in issue, pursuant to the FIEA.33 This requirement is called the ‘principle of suitability’, and the Supreme Court addressed the relationship between this principle of suitability and the liability of the financial institution violating this principle, holding that a material violation of the principle of the suitability, such as where a sales person of a financial institution offered to sell financial products that included excessive risks to such customers, may constitute a tortious act and cause the financial institutions to owe civil liability to the investor.34 This court decision is particularly important in that it affirmed the imposition of civil liability on the financial institutions, even though the principle of suitability is originally considered as a regulatory rule and not a direct cause of civil liability being imputed to financial institutions. In addition to lawsuits between investors and banks, lawsuits between non-investor customers and banks occasionally arise. In a typical case, customers with bank deposit accounts sue banks for non-performance of their duty under deposit agreements. For example, customers assert that banks reject their requests to withdraw money from their bank accounts without just cause. A typical reason for a bank to do so is that there is a dispute as to who has the legal right to withdraw money from the account. Another example of this kind of dispute is where customers allege that banks have negligently allowed a payment of money to be made from their bank account to unauthorised persons, and therefore, the banks remain responsible for paying such money to the customers. In a recent, interesting court case regarding a dispute between a non-investor customer and a bank, a customer filed a lawsuit against a bank for the transfer of money to an incorrect bank account, asserting that such incorrect transfer of the money caused the customer to incur a loss.36 The Tokyo High Court held that such incorrect transfer constituted a failure of performance under a money transfer agreement between the bank and the customer and that the bank was responsible for the loss incurred by the customer. A unique feature of this court case is that the court determined the amount of damages awarded by referring to Article 248 of the Code of Civil Procedure, which provides that, if damage is found to have occurred, but, owing to the nature of the damage, it is extremely difficult to prove the amount thereof, the court may reach a finding on an amount of damages that is reasonable, based on the entire import of oral arguments and the results of the examination of evidence. Another typical litigation source involving financial institutions, especially banks, is litigation related to banks’ collection of repayments against a debtor and guarantor under a loan agreement or guarantee agreement. Those lawsuits are usually simple because, in many cases, banks clearly have the right to demand repayment against a debtor and guarantor under the relevant agreement. However, under some circumstances, guarantors assert that they misunderstood or were unaware of material facts related to the debtor and loan agreement in issue and that the guarantee agreement is void owing to such mistake. Under limited circumstances, the courts accept such assertion by the grantor and deny the bank’s claim. Further, this type of lawsuit often concurrently occurs with bankruptcy proceedings concerning the debtor. In those cases, the debtor had typically taken out a mortgage to borrow money from the bank or has a deposit account in the bank with which it has entered into a loan agreement. Therefore, disputes frequently occur as to whether the banks’ right on the mortgage and bank account has priority over the bankruptcy proceedings. The Consumer Contract Act provides, among others, that clauses are void if they completely exempt a business operator from either liability to compensate a consumer for damages arising from default by the business operator or liability for damages to a consumer that arises from a tort committed during the business operator’s performance of a consumer contract.37 Therefore, concerning an agreement between a financial institution and an individual, such clauses are void as long as the individual falls within the scope of a consumer and the agreement constitutes a consumer contract stipulated under the Consumer Contract Act. Regarding lawsuits between an investor and a bank, if the investor’s assertion regarding the damage claimed is established, the investor may seek compensation of damages incurred as long as a proximate causation exists between the bank’s conduct and the loss incurred by the investor. Concerning a bank’s failure to sufficiently explain information to the investor, one of the main causes of this kind of lawsuit, courts frequently deduct the damages awarded, factoring in the investor’s negligence. In some cases, the courts in fact deducted more than half the amount of the loss from the awarded damages. 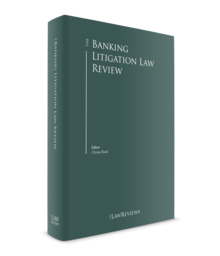 As explored in this chapter, the range of civil litigation involving banks and other financial institutions is extensive, and it is a monumental task to thoroughly explain these disputes uniformly. Nevertheless, one highlight of litigation trends involving financial institutions is disputes between customers, including investors, and financial institutions, where customers claim damages for losses incurred owing to certain activity or products provided by the financial institutions. As almost 10 years have elapsed since the global financial crisis in 2008, many court decisions addressing alleged losses claimed by investors have been delivered during that period. As a result, with Japan enjoying economic stability in recent years, at present, the incidence of court cases involving financial institutions has stabilised. However, as economic conditions are rarely static and could rapidly change, careful attention should be given to judicial trends on banking litigation to better prepare for the next new, emerging trend in this field in the coming years. 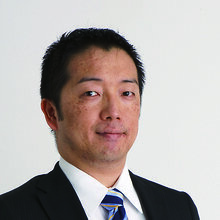 1 Hironobu Tsukamoto is a partner at Nagashima Ohno & Tsunematsu NY LLP in New York and Hiroyuki Ebisawa is a partner at Nagashima Ohno & Tsunematsu in Tokyo. 2 Article 167, Paragraph 1 Civil Code. 3 Article 522 Commercial Code. 4 This restriction is not applicable if the guarantee agreement is entered into by an individual who is involved in the principal debtor’s business (e.g., in the case where the individual is a director of the principal debtor if such debtor is a corporation). 5 Article 404 Civil Code. 6 Article 514 Commercial Code. 8 Article 907, Paragraph 1 Civil Code. 9 Supreme Court, 20 April 2004, Hei 16 (jyu) No. 670, 214 SAISHŪ MINJI 13. 10 Supreme Court, 19 December 2016, Hei 27 (kyo) No. 11, 70-8 MINSHŪ 2121. 11 Supreme Court, 6 April 2017, Hei 28 (jyu) No. 579, 1673 SAIJI 3. 12 Tokyo High Court, 2 March 2017, Hei 28 (ne) No. 5274, 1525 KINHAN 26. 13 Article 3, Paragraph 1 ASMCCP. 15 Article 3, Paragraph 2 ASMCCP. 16 For example, Article 156-44, Paragraph 2, Item 2 FIEA. 17 For example, Article 156-44, Paragraph 2, Item 3 FIEA. 18 For example, Article 156-44, Paragraph 6 FIEA. 19 Article 20, Paragraph 1; Article 23, Paragraphs 1 and 2 Civil Provisional Remedies Act. 20 Article 134, Paragraph 1 Criminal Code. 21 Article 197, Paragraph 1, Item 2 Code of Civil Procedure. 22 Article 220, Item 4(c) Code of Civil Procedure. 23 Article 220, Item 4(d) Code of Civil Procedure. 24 Article 221, Paragraph 1 Code of Civil Procedure. 25 Article 181, Paragraph 1 Code of Civil Procedure. 26 Article 220, Item 4 Code of Civil Procedure. 27 Article 3-4, Paragraph 1; Article 3-7, Paragraph 5 Code of Civil Procedure. 28 Article 3, Paragraph 1 ASFI. 30 Supreme Court, 22 April 2011, Hei 20 (jyu) No. 1940, 65-3 MINSHŪ 1405. 31 See, e.g., Supreme Court, 7 March 2013, Hei 23 (jyu) No. 1493, 243 SAISHŪ MINJI 51; Supreme Court, 15 March 2016, Hei 26 (jyu) No. 2454, 1648 SAIJI 1. 32 See, e.g., Tokyo High Court, 19 October 2011, Hei 23 (ne) No. 3584, 1942 KINHŌ 114. 33 Article 40, Item 1 FIEA. 34 Supreme Court, 14 July 2005, Hei 15 (jyu) No. 1284, 59-6 MINSHŪ 1323. 35 Osaka High Court, 12 October 2010, Hei 22 (ne) No. 1476, 1914 KINHŌ 68. 36 Tokyo High Court, 14 September 2016, Hei 28 (ne) No. 938, 2323 HANJI 101. 37 Article 8, Paragraph 1, Items 1 and 3 Consumer Contract Act.